This paper originated from the National Archives of the United States of America. Its contents are in the public domain. All text and images are the property of U.S. legal citizens. 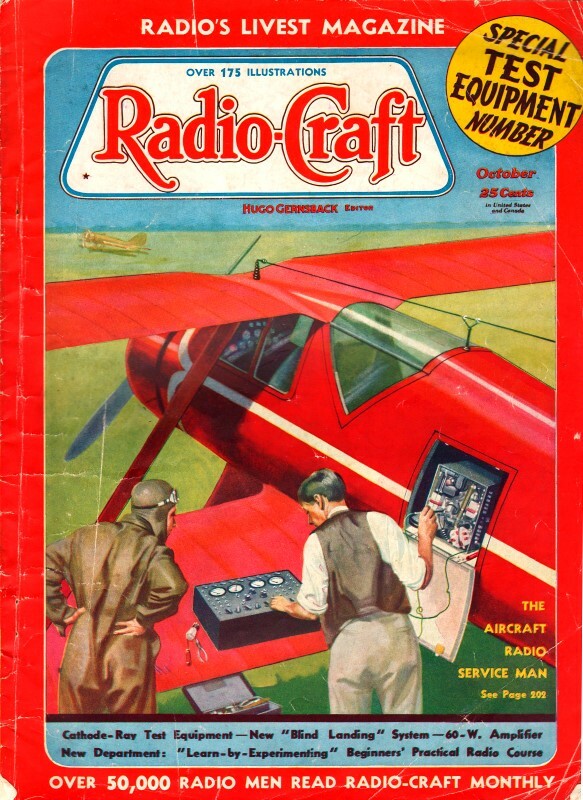 An article written by Charles E. Planck, of WIT, appeared in the October 1937 issue of Radio-Craft magazine titled "'Air-Track' System of Blind Landing." It uses a lot of the material in this report. 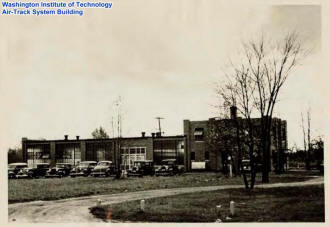 THE HISTORY AND DEVELOPMENT OF THE WASHINGTON INSTITUTE OF TECHNOLOGY. I. Summary. II. Introduction. III. Formation and Organization of the Institute. IV. The Work of the Institute. A. Development and Performance of Air-Track. C. Other Developments of the Institute. V. Conclusion. VI . Bibliography. 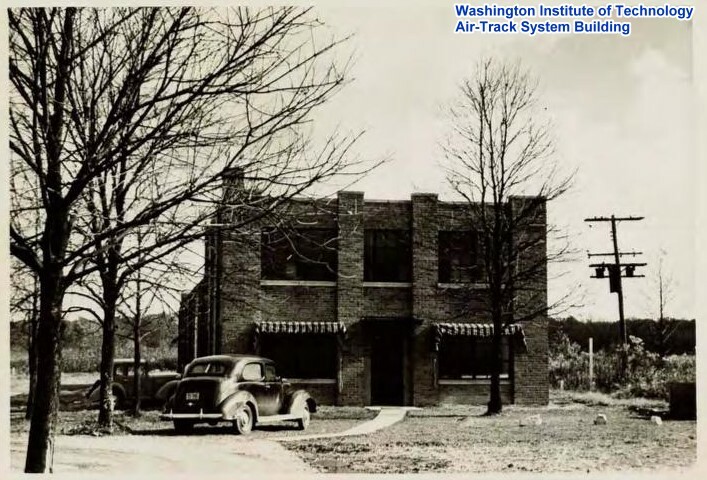 The Washington Institute of Technology wa3 formed in 1933 to develop an instrument landing system, already well begun at the Bureau of Standards. It has its offices located in Washington, D. C. and its experimental laboratory at College Park, Maryland. Closely associated with it and also located at College Park, Maryland is its two "manufacturing associates" Air-Track and Scientific Concrete Service Corporation. The Institute's chief objective is to test and develop more fully the present Air-Track equipment. The Air-Track instrument landing system employs three elements, the runway localizer for guidance in the horizontal plane, the glide path for guidance in the vertical plane, and the marker beacon to serve as a warning to the pilot of the proximity of the airport. All the ground equipment except the marker beacon is located in an automobile trailer which may be moved to other runways as weather conditions dictate. Also located in the trailer is an automatic monitoring device which insures the operation of the transmitters within closely prescribed limits. In the plane the pilot has a visual cross-pointer instrument on the instrument panel, which enables him to follow a curved path down to the runway and a safe landing in any kind of weather. The Broadcasting Division of the Institute renders valuable service to radio stations and radio engineers. This service includes allocation engineering, site surveys, coverage surveys, directional antennae design, construction of antennae tuning and phasing equipment, and a frequency monitoring service. developed in connection with their regular work. Since its inception in 1933, the Institute has steadily grown in size, and with the probable adoption of an instrument landing system at all airports, it is safe to assume that it will enjoy a continued growth and expansion. The Washington Institute of Technology is a corporation which was formed for the purpose of experimentation and further development of an instrument landing system previously conceived by certain scientists at the Bureau of Standards. 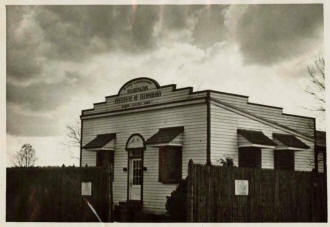 The progress accomplished at the Bureau of Standards ha3 teen adequately covered "by a previous thesis entitled "History and Development of the Bureau of Standards' Radio Beacon Experiment Station at College park, Maryland", written by Robert W. Beckham and dated December 18, 1936. It is the purpose of this thesis to set forth the history and development of the Washington Institute of Technology which is, in effect, an account of the subsequent developments along this line. It is for the instrument landing system, known as Air-Track, that the Institute has achieved an international renown. The offices of the Institute are located at present on the eighth floor of the McLachlen Building, 10th and G Streets, N.W. , Washington, D. C. The laboratory, where all the research and testing is done, is located at College Park, Maryland and is Just south of the College Park Airport in a convenient position for experimentation in airplane instrument landing systems. Associated with the laboratory is a factory for the manufacture of Air-Track equipment and also a laboratory for the purpose of research in the scientific control of concrete ingredients and strength. The last named establishments, however, do not belong to the Washington Institute of Technology proper, but are closely associated with it. Aside from the above permanent locations, there are field parties which are established in various localities as situations warrant. For example, at the present time a party is located in Pittsburgh because of the installation of Air-Track equipment at the Pittsburgh Airport. The Washington Institute of Technology is centered at College Park, Maryland with offices in Washington, D. C.
III. FORMATION AND ORGANIZATION OF THE INSTITUTE. Thus, the chief objective in forming such a company was for the purpose of research and further development of an instrument landing system. Since that time, the Institute has gained other aims, but still its predominant work is in the testing and further development of Air-Track. The Washington Institute of Technology is incorporated in the State of Delaware and the controlling interest of stock is held by Col. Sidney F» Mashbir, who is the president of the company. At present the Institute is financially self-supporting due to its income for services rendered to radio stations and radio engineers which will be explained in more detail later. 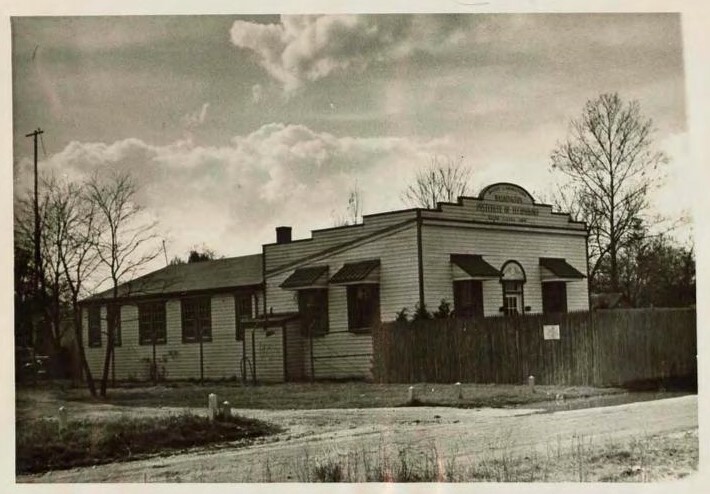 The Institute is subdivided into two main divisions, the Aircraft Radio Division and the Broadcasting Division, each of which has its distinct work to do, although they are very closely connected. with the Bureau. Gomer L. Davies is the Chief of the Aircraft Radio Division and Dr. Frank G. Kearia the Chief of the Broadcasting Division. 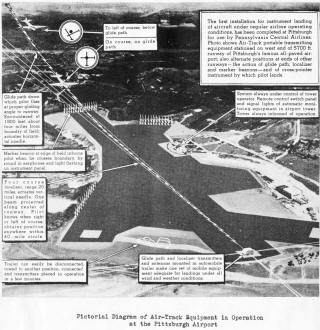 They were accompanied by engineers Gerald H. Ifintermute, now the senior engineer of the Aircraft Eadio Division, and the late William Or ton and also by the mechanicians Hi chard Greene, senior mechanician, who is at present employed at Pittsburgh, Harold Horsman, and Daniel %brand, Both of whom are employed at College Park, Maryland. From this small group in 1933 the Institute has grown until its staff now numbers over 20 engineers and technicians. 17. THE WORK OF THE INSTITUTE. of the N would "be sent out on the first loop; followed by the dot of the A on the second loop; followed by the dot of the N on the first loop, and that in turn followed "by the dash of the A on the second loop, and then repeat the cycle. If the pilot was on his course, the signal he received in his phones was a steady Team, which would change to a condition where one signal predominated if he strayed from his course. However, this system proved undesirable and has been replaced in Air-Track equipment by a modulation system, wherein the carrier wave has a frequency of 110 megacycles which is modulated to a frequency of 90 cycles in one loop and 150 cycles in the other loop. These impulses are separated in the plane by means of a reed-converter. This merely consists of two vibrating reeds, each of them having a natural vibrating frequency coinciding with the modulated frequency from one of the loops. The output from these reeds "buck" each other and actuate a vertical pointer which swings to the right or left as the field intensity changes. Thus, when it is exactly vertical, the pilot is on his course. This runway localizer beam gives the pilot guidance in the horizontal plane so that he can head directly down the runway. However, he also needs guidance in the vertical plane so that he will land at the right point. This is the function of the glide path transmitter. The points of equal field intensity lie on a curve similar to the one shown in the accompanying figure* Of course an infinite number of such curves exist. This is utilized by tuning the receiver in the plane to the particular curve best adapted to the natural gliding angle of that plane. 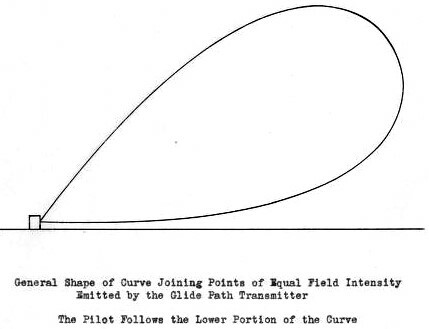 Also by varying the output of the transmitter these curves can be raised or lowered in order to clear obstacles or flying hazards. Ordinarily there would tie similar curves emitted to the rear of the transmitter and away from the runway. However these are removed "by the use of reflectors thus leaving only the desired curves down the runway. By combining the runway localizer and the glide path, the pilot has guidance in both the horizontal and vertical planes. However, it is highly desirable that the pilot should know his approximate position, relative to the field* This is accomplished by placing a marker beacon at the approach end of the runway and also another at a known distance beyond the end of the runway. 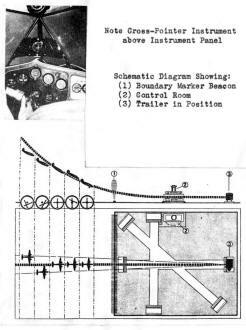 As the pilot flies through the vertical "curtain" sent up by the marker beacons, be hears a tone in his phones and a light flashes on his instrument panel. This enables him to tell them he is over the field. The marker beacon aerial is permanent in position and is strung close to the ground. Thu3 it interferes in no way with the landing of the plane and is not a flying hazard. The first installation for instrument landing of aircraft under regular airline operating conditions, has been completed at Pittsburgh for use by Pennsylvania Central Airlines. 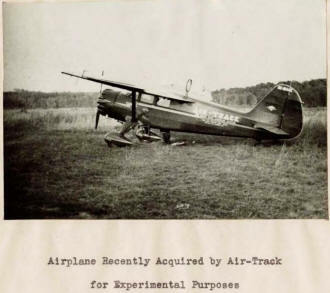 Photo shows Air -Track portable transmitting equipment stationed on west end of 5700 ft. runway of Pittsburgh's famous all -paved airport; also alternate positions at ends of other runways — the action of glide path, localizer and marker beacons — and of cross-pointer instrument by which pilot lands. Four course localizer, range 20 miles, actuates vertical needle. One beam projected along center of runway. Pilot knows when right or left of course; obtains position anywhere within 40-mile boundary of field; actuates horizontal needle. Trailer can easily be disconnected, towed to another position, connected and transmitters placed in operation in a few minutes. automobile trailer which may lie moved from one runway to another to correspond with the prevailing weather conditions. This makes a single installation serve any number of runways. An added safety device is the automatic monitoring system which is located in the trailer and consists essentially of a receiver which insures that the transmitters shall operate within closely prescribed limits. If not within these limits, the transmitters are shut off and a warning signal is sent to the control tower at the airport, from which the proper adjustments are made. The equipment in the plane is very simple, consisting merely of a receiver employing a detector circuit and two stages of audio amplification. It is very compact in form and all of the equipment, with the exception of the control box» can be located at any convenient place in the plane. Thus the only part of the equipment which must be in the pilot's cockpit is the control box and the visual cross-pointer instrument on the instrument panel. This use of the visual indicator instead of the older aural method marks a long step forward, inasmuch as it allows the pilot to maintain voice communication with the airport throughout the entire time interval of landing. The introduction and general use of such an instrument landing system should have a tremendous effect on airline development in the future. First and most important of all, it will promote safety especially in bad weather and decrease materially the number of accidents which occur at airports during the approach and landing operations. In addition, it will facilitate traffic control at airports and make it possible to land more planes in the same amount of time, thus relieving congestion at the more crowded airports. Also it will make possible the establishment and maintenance of regular airline schedules in spite of the weather. This will result in a tremendous increase in the number of passengers to travel by airplane, if they can depend on the printed schedule. With so many obvious advantages in the use of such a system, it is logical to ask, "Why has it not been adopted and in general use?" There are many reasons for the delay. It is the general belief that its installation will have to come as a Federal aid to airports because of the cost. At pre- sent, the Bureau of Air Commerce has no authority to use its funds for airport improvements but only for airway aids (between airports). Such authorization must come from Congress which introduces considerable question as to its probable time of. adoption. Furthermore, it will be necessary to first agree on a system which is acceptable to all concerned and then to train pilots in its use. All these details require time and must be further developed before adoption. B. THE WORK OF THE BROADCASTING DIVISION. In addition to the work done by the Washington Institute of Technology in the testing and development of Air-Track equipment, it also renders valuable service to radio stations and radio engineers. These services cover many fields and, while some are routine duties, others require much technical knowledge and foresight. All, however, are very necessary to commercial radio stations. station. In order to do this, portable transmitters are set up at the place in question and the location tested. Such surveys eliminate the guess-work in the location of a station and prevent the construction of an expensive broadcasting station only to find that it is in a poor location. The Institute also conducts coverage surveys for radio stations already in existence in order to determine the strength of the emanations from the station and the amount of territory which a radio station serves. This has an important commercial aspect since the station can base its charges to commercial advertisers on the number of people which it reaches. This is especially important in metropolitan areas. In addition, the Institute also is doing important research work in the development of proper designs for directional antennae in order to prevent interference between radio stations. Furthermore, it develops and constructs all manner of antennae tuning and phasing equipment. This construction is done at College Park, Maryland and the equipment is sold to radio stations and radio engineers. In addition to these services, the Institute conducts a frequency monitoring service consisting of routine tests on operating stations to determine their frequency accurately. The frequency of the station is calibrated against the signal received from the Bureau of Standards by telephone which is accurate to one cycle in ten million cycles over a period of one minute. By comparing the two signals and counting the number of beats, the number of cycles that the frequency being tested is in error may readily be determined. This is done periodically to insure that the station is within the limits prescribed by the Federal Communications Commission and is conducted for the benefit of the radio station. This work is all done on a contract basis and helps materially to make the Institute financially self-supporting. Although the development of Air-Track and the services rendered to radio stations, as described above, constitute the major part of the work done "by the Washington Institute of Technology, there are several additional developments which are worthy of note. The Washington Institute of Technology holds patent rights on many important developments, largely in the realm of radio* These include several important innovations in the design of directional antennae. Also an improved radio direction finder has been developed largely in connection with its aeronautical experimentation. Another device known as the gun compass has also been perfected. This is a variation of the earth inductor compass and finds its chief application in small boats, since it is not so readily affected by the rocking motion. Another development consists of a low capacitance cable for use in ignition systems of airplanes or automobiles, giving a hotter and larger spark. It has been used for several years in Naval aircraft. These developments are merely a few of the many patents held by the Washington Institute of Technology. 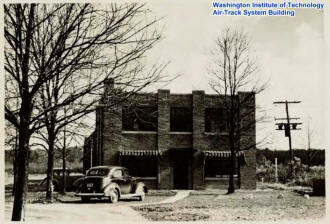 Park, Maryland is located the Washington Institute of Technology laboratory and its two "manufacturing associates", Air-Track and Scientific Concrete Service Corporation. Until the present time, the Washington Institute of Technology has "been very successful in its developments and has steadily grown in size. It renders valuable aid to radio stations, and if instrument landing systems are installed in all airports, as they probably will be in the future, their services will be in demand because of their previous experience. If the system adopted is Air-Track, the Institute will grow much faster. 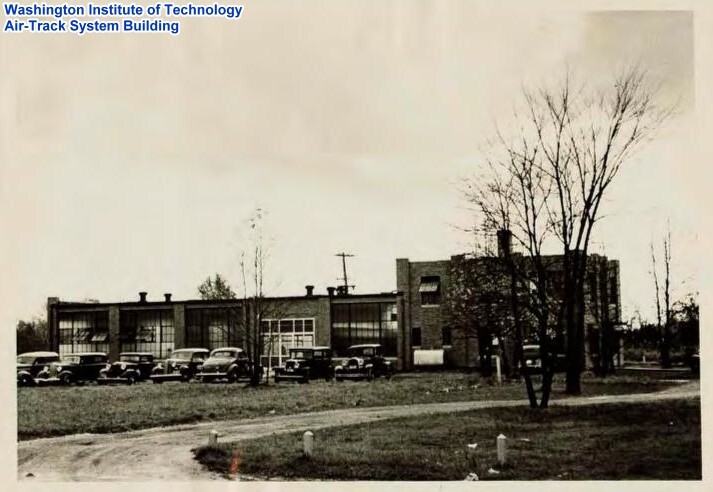 In the light of the above observations, it is the opinion of the writer that the Washington Institute of Technology will continue to grow in the future, barring unforeseen difficulties of a financial or technical nature. Before concluding, the writer would like to express his sincere thanks for the courteous aid which was extended to him by members of the Washington Institute of Technology staff, and especially to Dr. Frank G. Kear, Chief of the Broadcasting Division, and Mr. Charles 1. Planck, who have been most obliging in extending the information needed for a thesis of this nature. 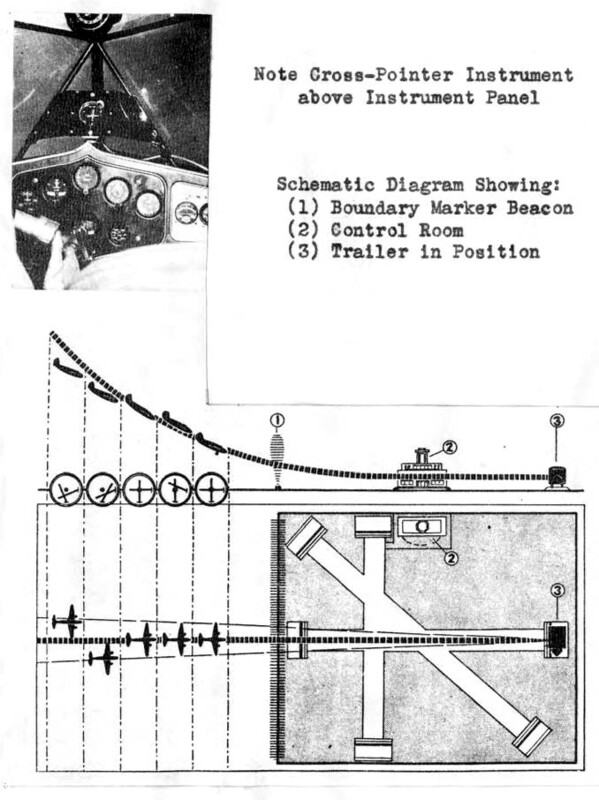 "Report on the Status of Instrument Landing Systems"
V f . 3. Jackson, Chief of Radio Development Section, Bureau of Air Commerce, Safety and Planning Division. 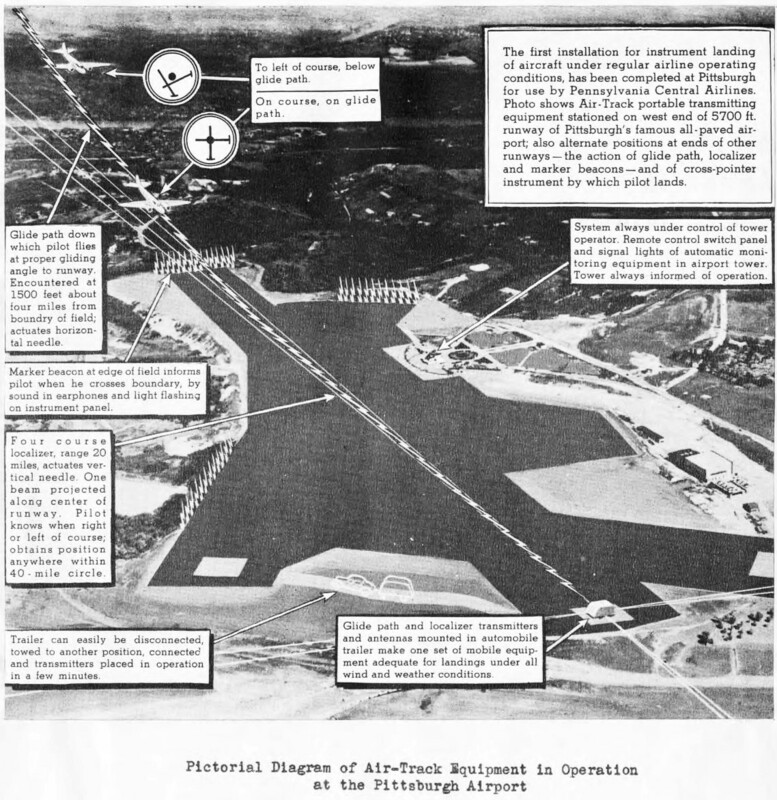 "The Washington Institute of Technology Air-Track System of Instrument Landing"
"by Hemy W, Roberts in "Aero Digest", April, 1937.